Welcome back, everyone! We've got a large one this time around; hopefully, you all enjoy it. 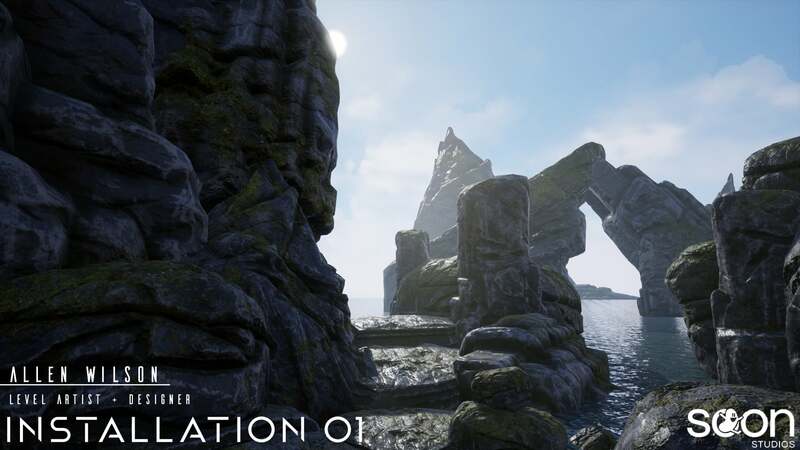 It's packed full of useful information, some cool things, and most importantly a little more about a 3D Artist/Level Designer here on Installation 01 who goes by the name of BitterBones. Let's get right into it! Welcome, and thanks for joining me! 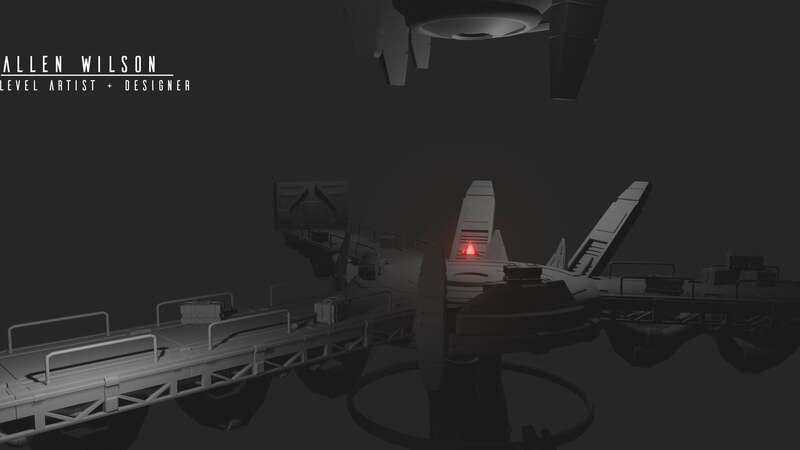 To start things out, let everyone know who you are, and what you do here on Installation 01! Hi everyone, my name is Allen Wilson. I am mainly a 3D artist on the team, although I do other tasks such as implementation, set dressing and what many devs would consider “grunt” work. I specialize in doing environment assets including procedural materials and textures! ANOTHER BARREL MAKER?! THIS IS GETTING OUT OF HAND NOW! Joking aside, I must say, if what you do is "grunt" work then more people should appreciate all that grunts do. You're making some truly phenomenal things here on i01. So, with having to do so many smaller things on each map how do you go about organizing, planning, and prioritizing your work on each map to get it all done? It really boils down to the complexity and amount of time needed to complete the assets required for the map. 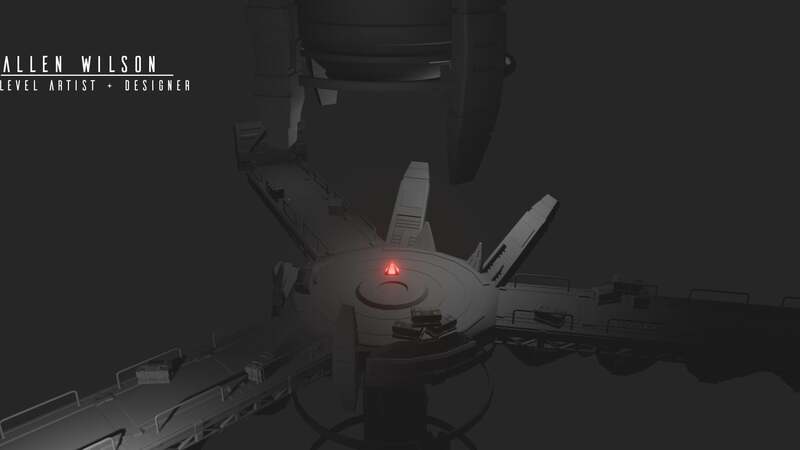 For example, if the map is in need of a large “hero” prop piece that will go in the center of the map where it is going to be seen from all angles and at all times. That one gets bumped right to top priority and will need the most attention. Whereas, smaller props like barrels, stools, crates, etc. Will get lower priority just because they won't take as much time to create and is not an essential part to tieing the map together. It's also good to note that I know very well how long certain jobs will take me to do so ill plan all this out with my own task list and deadline dates. Just to keep things streamlined and to keep the ball rolling. Interesting, so you work the entire process around knowing your own capabilities. I can't imagine a better way to do so, working to your strengths, and understanding your weaknesses is essential to success. So tell me, what does that typical work week look like for you here on i01? So glad you asked. It's pretty much a routine that I have set up throughout the week; I get up at 5 am every morning and go into work. I suffer for about 5 hours, get home and make myself some breakfast. Pull changes from source control and pick up where I left off the day before. Depending on what tasks I am working on I usually end my I01 work shift around 7 or so. Make dinner and play some games before going to bed. I try going to the gym 2-3 times a week, and I make time to have some drum sessions in there. Really good for breaks and just to clear the head. When the weekends roll around, I’ll go out and hang with friends; It's crucial to balance work and social life. Sometimes if the weather is terrible, I will just stay in and primarily work on i01 over the weekends for fun. A lot can be said when you would rather make games than play them. I mean how could you not, we are making a Halo game! I absolutely agree, balancing that social/work life is essential to stay sane haha. Sadly it's usually all too hard for some of us to get a proper balance, but it's always something everyone should strive for, especially for your health. You have to be willing to give up your game playing for game making a lot of the time, and that turns a lot of people off from the industry as a whole sadly. However, you obviously know what you're talking about when it comes to your work, so what is some advice, tools, courses, or tips you can give to aspiring 3D Artists that may be reading this? I am a firm believer in people teaching themselves game development, there are just so many tutorials and ways to learn out there without having to know someone to teach you. That being said, I didn't know this, because I grew up in Columbus, Mississippi and whenever I went off to my Freshman year of college in Alabama. The closest I could get to game development was Computer Science, and that was mostly web development which is lame (sorry Train). It wasn't until I moved up to Seattle, WA where I learned that game development schools even existed. So I jumped on that and spent A LOT of money just to learn game development in just one short year. Granted that year was one of best years of my life, shout out to all my GD43 classmates at VFS! It was also the most challenging, but I loved every minute of it. Looking back I think it would've been better - not to mention cheaper - to learn on my own. But I think the connections you make and the memories you share with other people when creating your first actual project from start to finish is something I can’t put into words. If you have the money and you know without a doubt you want to do something in the industry - doesn't even have to be modeling, I would say look into some local Game Design schools because they are out there. If you don't have the money or maybe aren't sure if game development is for you. YouTube my friend, YouTube and never stop learning. The more difficult path for sure but I personally know some people in the industry that are self-taught, and one of them is even currently working at Oculus. Just be dedicated and don't stop moving forward. Start small and go from there. Check out Maya which I personally use, they have a free student edition or Blender is also free and coming out with a sweet 2.8 update! 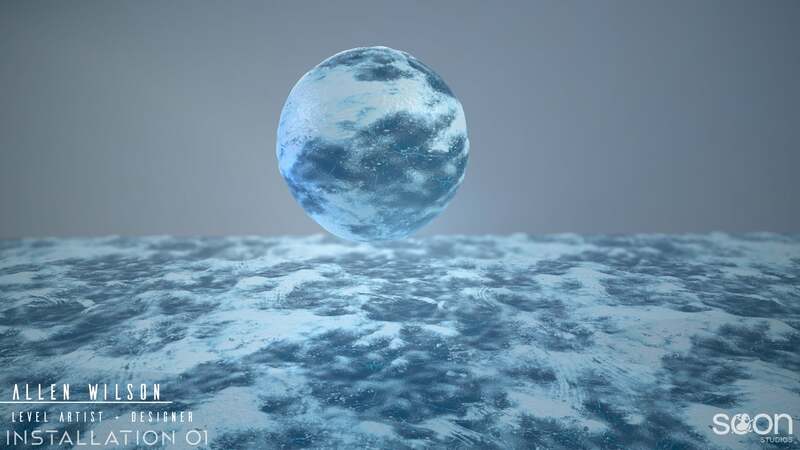 For Texturing I would recommend starting in Photoshop, I did, and it taught me a lot about the fundamentals before upgrading to Substance Painter/Designer. I was right, you do know your craft - Listen to this man, everything he just said will help you in the future. I really have nothing to add to that, you covered it perfectly, my friend. You mentioned that if they could afford it go for the more academic approach, that they should. With so many degrees out there which ones would you recommend these future Artists look into? Hmm, it's tough to say, everyone is different, so I think if you want to be an Artist try dipping your toes in all aspects of the art side of games and see where you fit. For example Environment Art, Character 3D modeling, Texturing/Material Creation, Concept Art, Animation, Tech Art, Weapon/Prop models. I think it's essential for an artist to really know where their niche is, where they feel they can shine. For me, it wasn't so black and white whenever I was in school I literally had 0 knowledge in art creation for games. I knew that I wanted to do characters at first, but that quickly changed whenever I started doing environment stuff. I really enjoyed it and felt like that was my thing along with level design. So I encourage you if you’re an artist to try out all aspects of the art side of things and see what works for you. Also, this is super important - just know that some of the greatest artists out there had to start somewhere too, and the stuff you begin with isn't going to look pretty at all. But keep working at it, and you'll eventually begin to see progress in your artwork. Excellent advice, hell some people can go 3 years into a degree, and realize it was the wrong choice after all. The best thing you can do is to try all of them and pick the one you enjoy most. You said, you wanted to work on characters at first, but then that changed as you learned more in the field, when would you say you knew that you wanted to focus on 3D Art in game-development, and why did you make the change to Environmental art, and level design? What do you enjoy most about it? I think a lot of it had to do with the fact that I spent a lot of time in Forge mode thanks to Halo 3. So level design came pretty natural to me, blocking things out planning different player routes and encounters, etc. Environment art just seemed like the next logical step so I can be a one-person Map creation team. I can design, block out my own ideas, and then fill them in with my own art assets when I am ready. Best of both worlds I guess haha. I just really enjoyed both the design side of things and also the art side. It also helps because you can really hone in on your own vision rather than having to collab and explain that to someone who might not see it the same as you do. Causes some miscommunications which is common in game development but the more you can cut down on that the better. That being said games are definitely a collaborative effort, so I don't mind working on a level with other artists/designers, and it helps lighten the workload. I do actually enjoy the entire process that goes into making each level, just getting down in the trenches and pushing out assets - putting them in the scene for the first time. It’s just such a fun and exciting experience to see levels come to life before your eyes. The best part about it is having that final art pass, and sitting back and looking at it like a proud parent. Ahhh the satisfaction. That makes complete sense; I can only imagine the satisfaction that comes after you're finished. It must be a truly euphoric experience. I want to touch on one last question for all those aspiring 3D artists/level designers out there. In your opinion, what skills and qualities are required to be a successful 3D Artist or level designer? Good question, I really can get into technical ability and understanding fundamentals and stuff like that. But when you really step back and look at it, I think it just depends on how dedicated you are to your craft. Be extremely passionate about what you are doing and don't be afraid to fail. Be willing to learn, and I think you can make it as a successful 3D artist or designer. I think the key word here is passionate though like if you completely give your attention to 3D modeling and focus on it. Great things will happen for you, it won't happen overnight, but things will happen. Put your work out there and make a name for yourself! Fantastic, and I absolutely agree. Dedicate yourself to learning, and doing anything you're passionate about, as often as you can, and your goals will inevitably happen. You're an incredibly talented artist, and designer so I must ask. What made you dedicate your time, skill, and passion into our little project, and how long have you been part of the team now? Thanks Tosh man appreciate the kind words. Well other than the obvious reasons of working on a Halo project that has been like a lifelong dream of mine and the passion the developers seemed to have surrounding Halo I just knew I had to get in on the action. I have been a part of the project now for about 5 months. Which to be honest it doesn't feel like it haha I feel like I have known some of these guys on the team a lot longer and I am enjoying myself so far. Of course, they're well earned my friend. It does always feel much longer, huh? I've been here for a little under a year now, but it feels like 5 haha. You've been here for a good bit now, is there any of your work out there our fans may have seen, or some you'd like to share and talk about now? 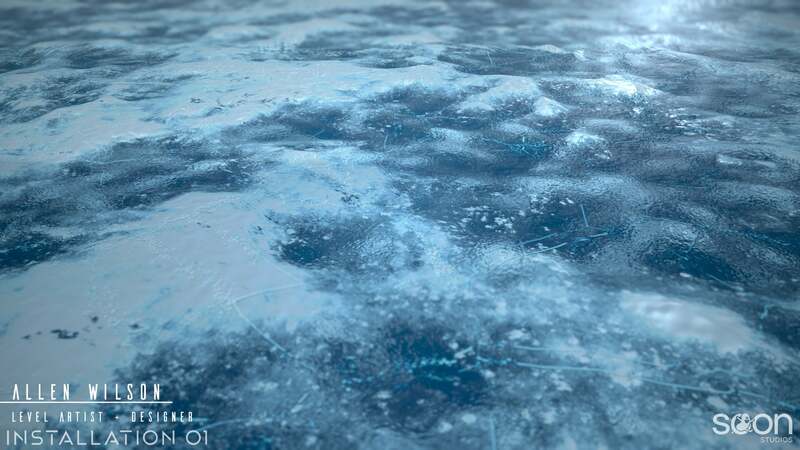 On the topic of snow, this is an Ice material that I have been working on for i01 that was made in Substance Designer and is 100% procedural. I still have a lot to learn when it comes to SD, but I think I am slowly getting more comfortable with the program. Creating procedural textures in SD saves a lot of time for other developers from having to create unique texture sets for each individual asset they put out. These are some rock sculpts I did for the project on request of the Bean himself. This was actually the second task that I did for Installation 01. I really enjoyed doing this rock set, and I am looking forward to doing more down the road. I think I spent about a week or more doing this set from start to finish. I really tried to nail different silhouettes with each rock so they could stand out and didn't look samey. While also making sure these rocks could be reused in a variety of ways so we can get as much mileage out of them as possible. This is more of a personal project of mine that I was doing before being brought onto the i01 team. 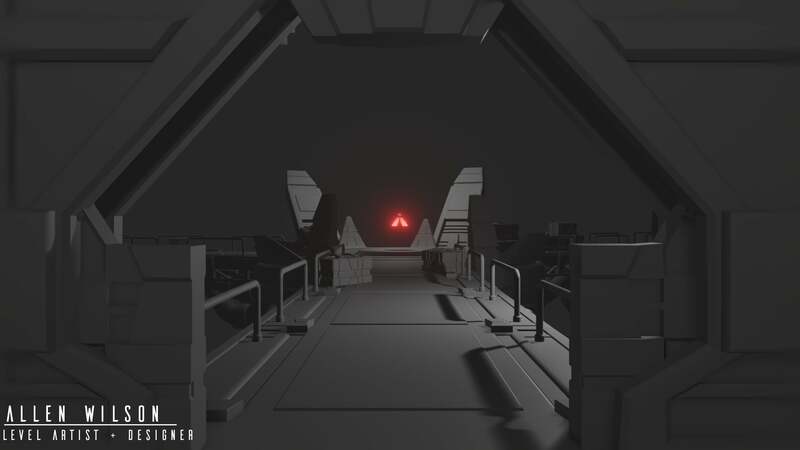 It's a Star Wars Sith meditation chamber that was in the works and mostly just to brush up on my hard surface skills. It is by no means finished and still has a ways to go before I can consider it portfolio ready. I want to get back to this one day and finish it up! I think it's also good to have some different art style side projects sometimes to take a break from your everyday workflow. 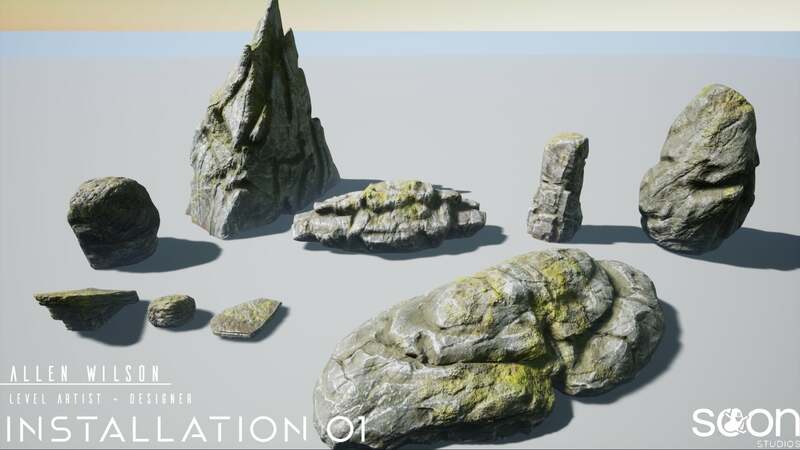 As you can see I think I covered my bases, from hard surface modeling, modular pieces, to rock sculpting/texturing, and all the way to procedural textures. I’ve really tried to hone in all my skill sets to be able to complement each other in the best ways possible, and I couldn't be happier than dedicating my skill set to Installation 01! My, that is all really fantastic work, and you mean to tell me i01 won't have a sith level in it? Disappointed! Thank you for sharing so much with us today, It's always nice to see the work everyone does around here that others may miss - like the rocks, and snow. But that's not all you've been working on; I'm super excited to show everyone something very close to my heart at the end of this, but to reiterate - we couldn't be happier to have you on the team. Which nicely leads into my next question! How would you describe working on Installation 01 in one sentence so far? The purest fun, but yet ambitious learning experience I have ever had. That’s the best way I can put it so far, I mean we are all Halo fans here, and we all get to hang out while creating our very own Halo experience. It's tough to put into words, but I am very fortunate to be a part of this super talented team. I feel like that goes for everyone here really. Well done! Let's get to know you a little better as Just Allen Wilson. What do you do outside of working on Installation 01? I work at Amazon part time just to pay the bills mostly until I can find a full-time position in the industry! When I am not working there, I like playing drums. I have been playing drums for 12 years and music is my second passion. I would not be the person I am without video games and music which is literally me in a nutshell. Also since I live in the northwest, I enjoy hiking and camping when the weather allows it. This also allows me to get some excellent nature reference for when I get back to work. Wow, you get up to quite a bit in your off-time! Since you're all about games, and music eh? What would you say your favorite Halo game, and soundtrack is and why? My favorite Halo without a doubt is Halo 2. The story in Halo 2 is terrific and becoming the Arbiter for the first time really blew my mind when I was younger. It basically did everything CE did for me back then but did it better, in my opinion. Also, Xbox live man, I have so many memories just experiencing online play for the first time. Really changed my life in a lot of ways. But when it comes to Halo soundtracks, I'm going to have to go with CE. I still to this day listen to that OST. A Walk in the Woods and The Gun Pointed at the Head of the Universe are my favorites. I am going to suggest that the next time anyone plays infection be sure to play Devils, Monsters in the background from CE. Will guarantee to make your future Infection games much more intense. Those are both excellent answers, but a bizarre way to say Halo 3 haha. I'll definitely put on those songs next time I go into an Infection game though! Sadly this next question marks the end of the interview. I just want to say I've really enjoyed talking with you today, but if you answer this next question wrong, we can never be friends again. You know what it is... What is your ultimate Halo match? Ooooo I would have to say Halo 2, Classic Team Slayer, Ivory Tower. I know that's pretty boring, but I have so many fond memories of Ivory Tower just playing classic mode. 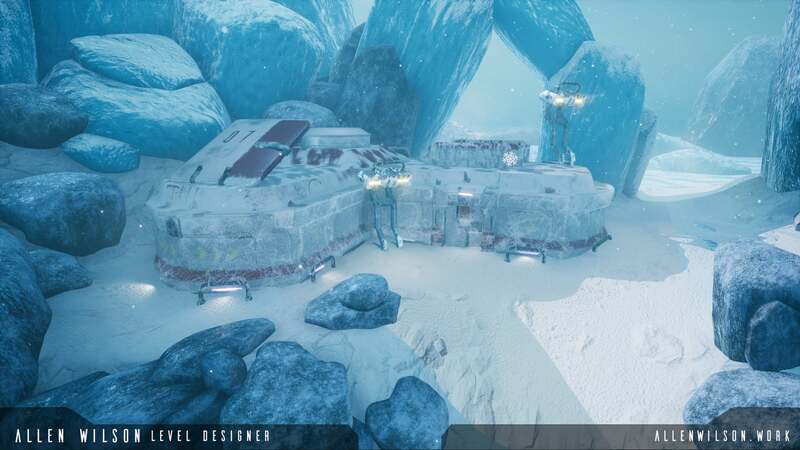 Also might be my favorite map out of all the Halo games. Alright... good choice. We can still be friends, I guess. Joking aside, thanks for sitting down with me today Mr. Bones! As always, it's was a pleasure talking with you. We must do this again sometime! Maybe get some games in. Hopefully, everyone learned a little bit more about you, your work, and why you're just generally a stand-up guy. If you'd all like to follow Mr. Bones on his journey, and check out more of his work, opinions, or just ask him more about himself yourself, you can go follow him on Instagram @Bitter_bones, and check out his Artstation! One last thing, I promised I’d show you all some more of his work at the end here, so for Christmas Mr. Bones here made me a nice little present in pink just like I wanted! Isn’t it beautiful? 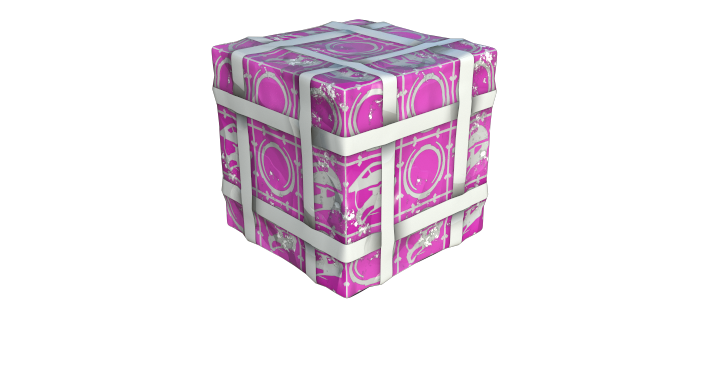 There may or may not be a special hidden pink one somewhere on a map, no hints, but keep your eyes out for it! Only the true explorers can find it.